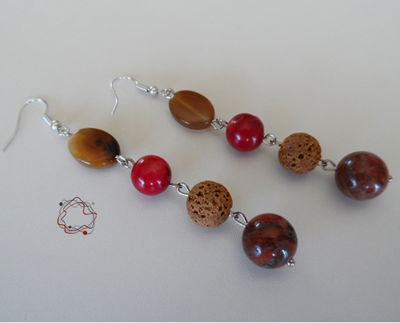 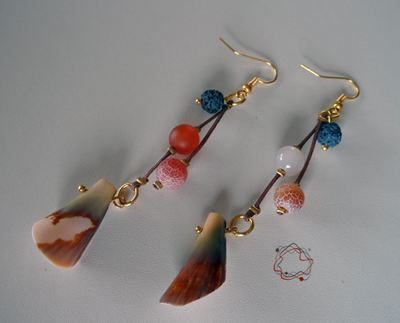 Semiprecious stones, with eye of the tiger, coral and lava, a jewel for all day. 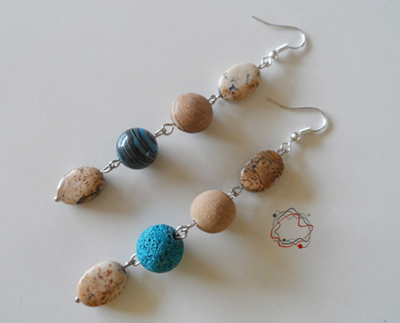 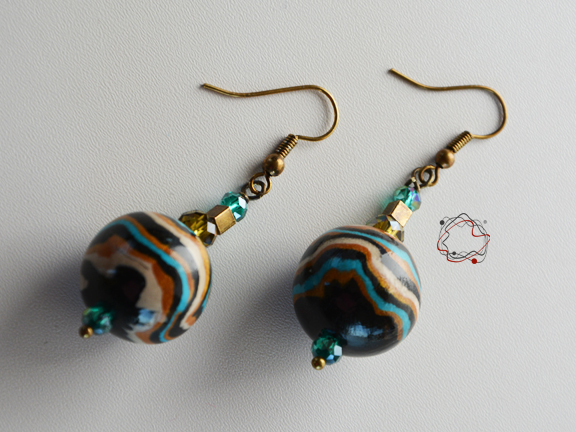 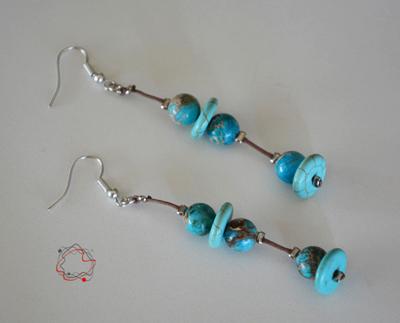 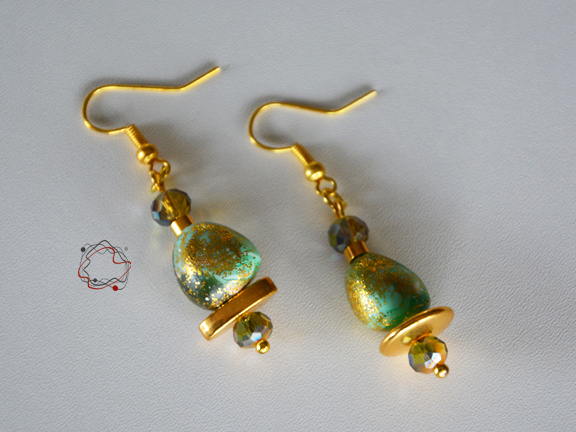 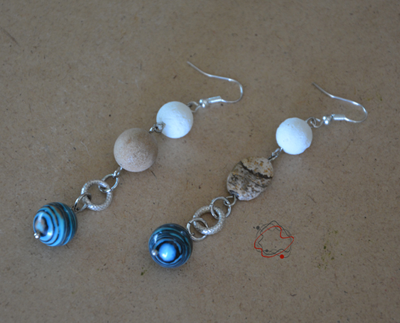 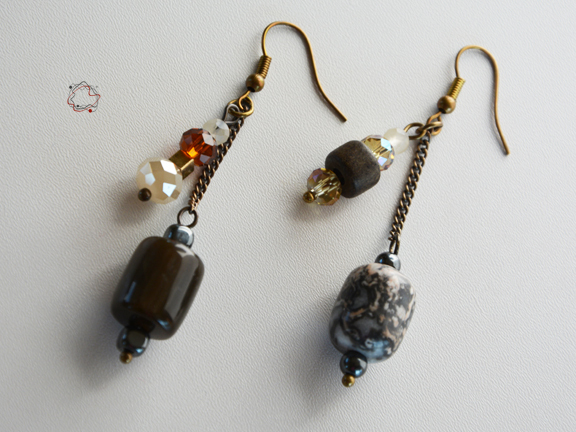 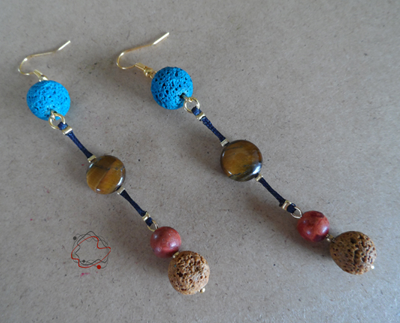 Earrings with semiprecious stones paste turquoise. 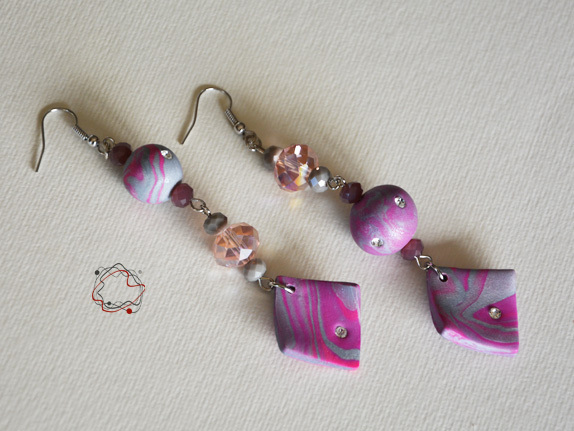 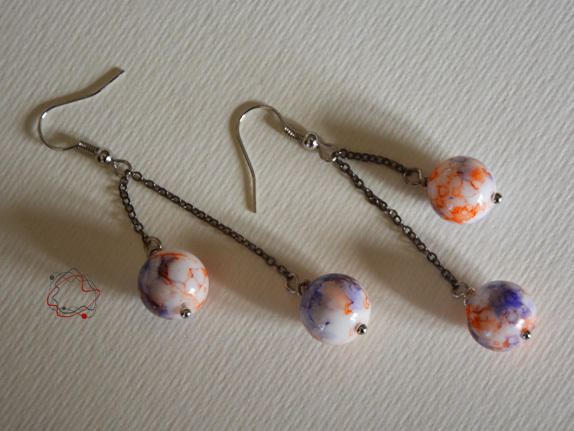 Silver chain and purple orange colored beads. 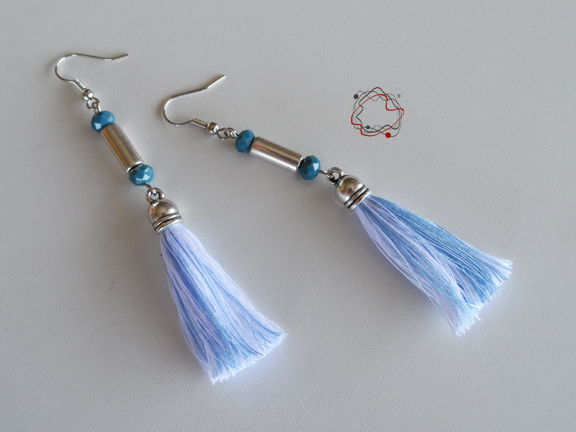 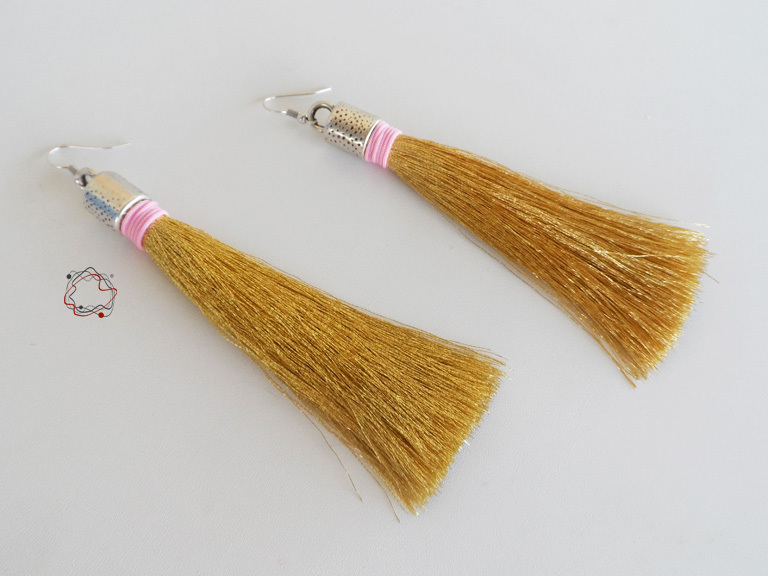 Silver and blue earrings with metal thread handmade tassel. 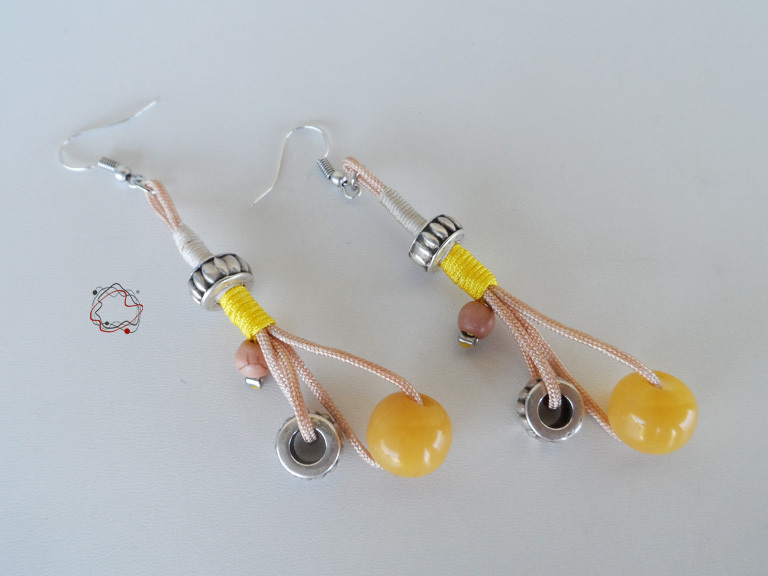 Cord earrings with yellow beads & silver details.